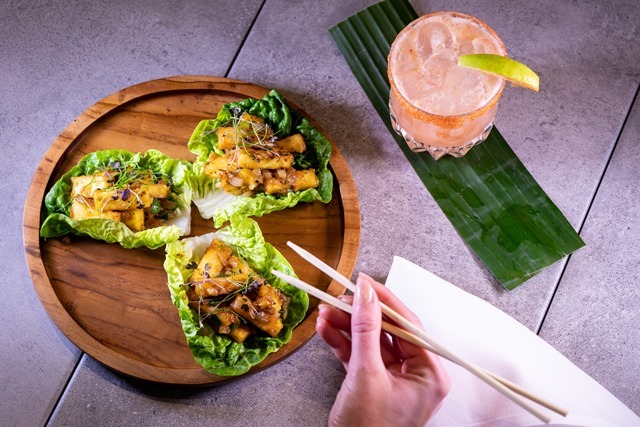 A new kind of food is arriving in Soho this spring with the opening of Fatt Pundit and its Indo Chinese menu. 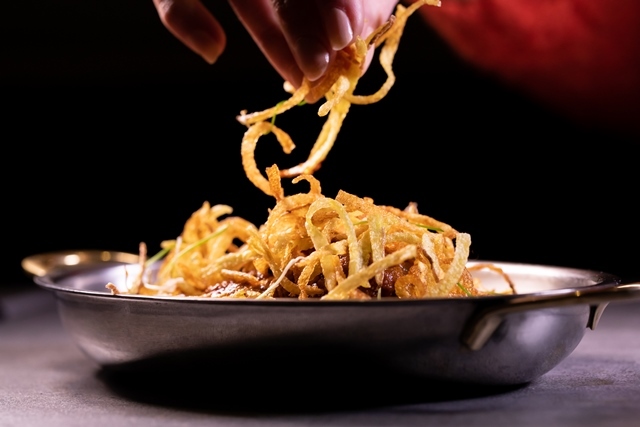 Originating from Kolkata, Indo Chinese was invented when the Hakka people migrated to India from the Chinese province of Canton, bringing with them their culinary treasures. Incorporating traditional Chinese cooking techniques with the vibrant spices of India tocreate something both new yet familiar, Indo Chinese is now an integral part of Indian cuisine but yet to be explored in the UK. Playfully named Fatt Pundit it’s a combination of the common Chinese surname ‘Fatt’ with the Indian word ‘Pundit’ (a scholar). 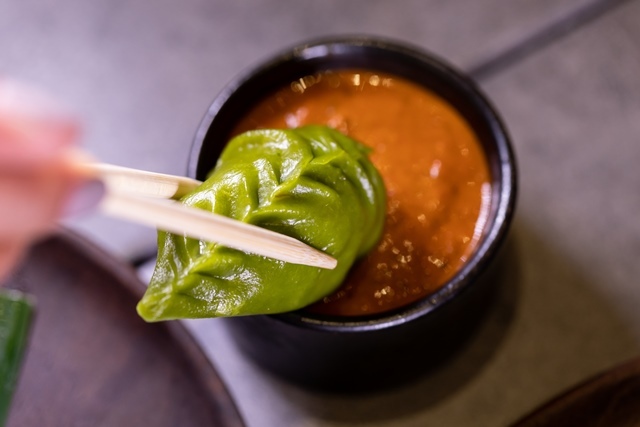 The hero dish at Fatt Pundit will be Momos; spicy dumplings originating from Tibet which have been given the Fatt Pundit hallmark thanks to never seen before meat and veggie fillings complete with lip smacking chutneys. 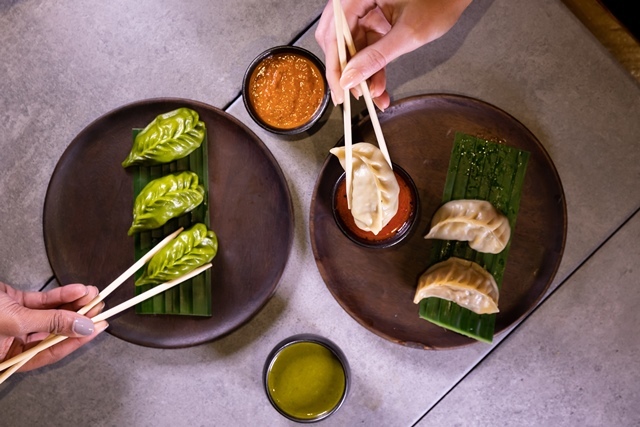 Available to order from the menu, there will also be a momo station at the front of the restaurant which means you can get your Indo Chinese hit at any time of day. An extensive menu jam packed with exciting new flavour combinations perfectly unites the flavours of India and China. Signature dishes include Shredded Chilli Venison, Smoked Rabbit Wontons, Hakka Paneer Lettuce Cups and Stir Fry Cod & Bream Curry all of which can be enjoyed with Fatt Pundit’s must–try Indio Chinese sauces such as Manchurian and Bombay Chilli. And Indo Chinese also means cocktails! At Fatt Pundit they’ve got plenty to keep you refreshed and sizzled throughout your visit. Inspired by Indian fruit vendors and stamped with a Chinese twist, here the alchemies have flavour ranges from raw mango to guava and blackcurrant and cucumber – cheers to that. The Chinatown of Kolkata is Tangra, which provides an apt influence for the interior of Fatt Pundit. Exposed concrete walls complete with accents of red and blue reflect the street signs and painted murals found on the ancient walls of this historic area, complimented with sporadic paintings of the Fatt Pundit himself. With seating for up to 60 guests for lunch and dinner, the Fatt Pundit will give Londoners a taste of a rich culinary heritage that is far from forgotten; as far as Fatt Pundit’ s concerned this is just the beginning!